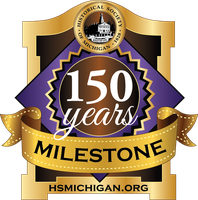 The Three Oaks Township Public Library (founded in 1859) is proud to be recognized as a Sesquicentennial Organization by the Historical Society of Michigan. 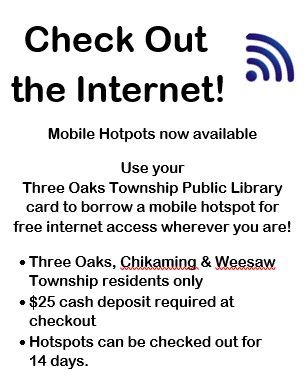 The Three Oaks Library Friends say "Thank You" to The Pokagon Fund for the grant to purchase a defibrillator. Check out our catalog! It features an easy way to log in to your account for renewals, reserves, requests, and more! There is also a list of what's hot and what's new. Log-in by clicking the above link, then enter your library card number (with the P) and your phone number in the top right corner.